The evolution of the successful GE1. 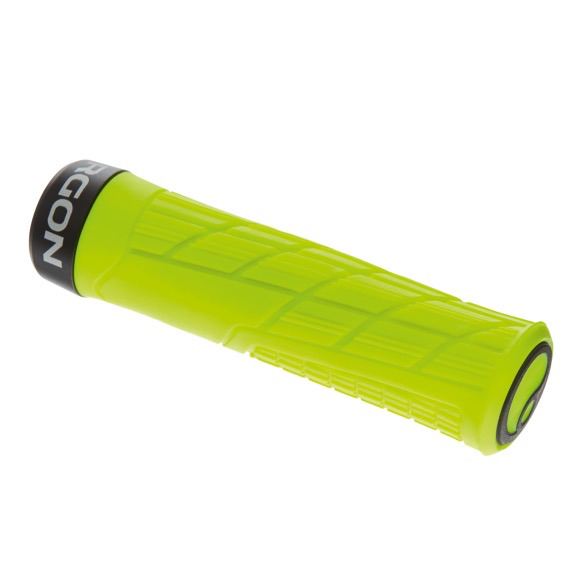 Thanks to the feedback collected from countless riders of the Enduro World Series, the Ergon design team succeeded in further improving the popular GE1 in certain details. Surface texture is now even more slip-proof and the rubber compound softer, lending constant precise grip. It actively supports the correct torso/forearm position during downhill riding – by rotating the grip area towards the steering axle by 8 % the elbows are automatically outwardly raised! Forged inner clamp, fully integrated grip end connected to the inner core (Pat. Pending) – this establishes a soft, damping grip edge, and your hand can grip right at the outer edge. Pressure is diminished from the sensitive ulnar nerve, which is located on the outside hand. Compatible with carbon handlebars.